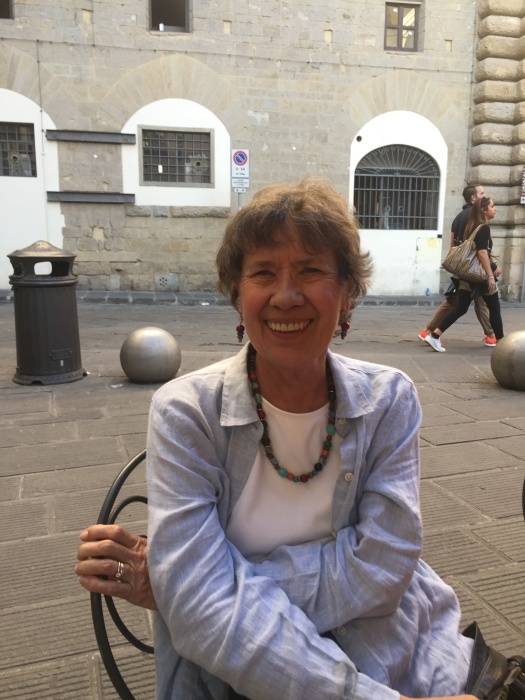 Carol Ann Schulz Malloy died Thursday, March 21, 2019 at her home in Galveston, Texas. Carol was born in Sioux City, Iowa on May 17, 1945 to Rudy Schulz and Lois Jauer Schulz. She spent the first seven years of her life growing up on a farm in Plymouth County, Iowa with her older sisters Lorri and Mary Lou, roaming the fields and playing in the open spaces. The family moved into the town of LeMars, Iowa about 20 miles away from the farm in 1953 where she grew up in a small town atmosphere knowing the joys and problems of a tight knit community. She traveled off to college at Iowa State University, then moved on to Norfolk, Virginia where her sister Mary Lou lived to finish off a degree in Sociology at Old Dominion University. She then developed a career in computer programming in the banking industry. It was in Norfolk in 1974 that she met her husband Dr. Michael Malloy who was doing an internship at Norfolk General Hospital. Carol moved to Galveston to be with Mike in 1974. In 1976 the two moved to Houston where she worked at Houston National Bank. From Houston she moved to Brooklyn Heights, NY where Mike was doing additional training. She continued her computing career at Bankers Trust. It was in New York City that she developed her interest in distance running and ran her first New York City Marathon. She returned to Galveston in 1980 and began work in the Academic Computing Section of the University of Texas Medical Branch (UTMB). In 1985 she moved to Kensington, MD as her husband began work at the National Institutes of Health and where she worked with GEICO. She further developed her running and biking skills there and participated in a number of competitive events. In addition, she obtained a degree in Mathematics at George Washington University. In 1991 she and Mike returned to Galveston and UTMB. Carol became deeply involved in community life becoming a leader in the activities at Trinity Episcopal Church, became an active member of the Galveston Beta Club, a proud member of MENSA, and as an avid quilter was a leader in the local guild and of the Quilting Bee group. In 1993 she and Mike adopted a child and learned the joys and trials of parenting. Carol’s generous nature and willingness to help have made her beloved by all and she will be sorely missed. Carol is survived by her husband Mike and daughter Elizabeth; son Brian Webster, Ames, IA; her sister Lorri Schumacher of Michigan; nephew Scott Schumacher, Columbus, IN; niece Vikki Camper, Katy, TX; niece Heidi Fisher of Long Island, NY; nephew Atticus Fisher, Boston, MA; and nephew Douglas Fisher, Richmond, VA.
A memorial service will be held at Trinity Episcopal Church, 2216 Ball, Galveston, Texas at 10:00 a.m. on Saturday, March 30, 2019. In lieu of flowers, memorial gifts in her name may be donated to Trinity Episcopal Church.